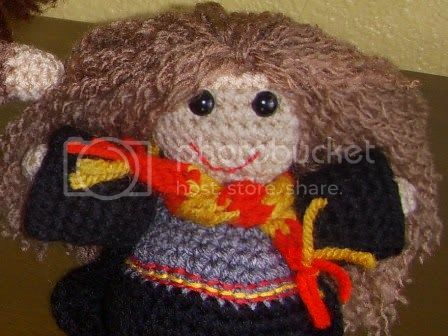 Here's a tutorial for the method I used to make the hair for several of my Harry Potter amigurumi dolls. Be aware that it can be very time consuming - I think I spent about three hours on each wig. 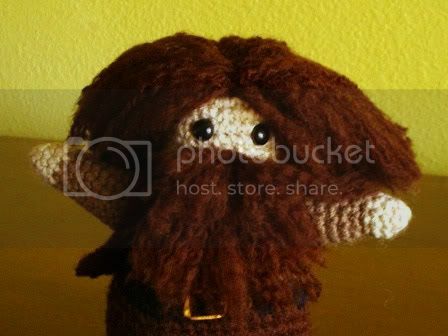 I have also added a tiny bit at the end about amigurumi beards as well. Step 1 - Make a wig cap. Bind off and leave the tails - they can be used as part of the hair. Step 2: Add the hair. 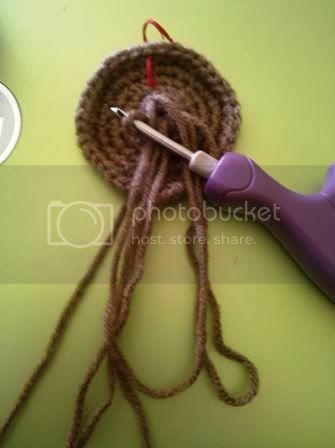 Starting at the center of the cap and working outwards in a spiral, use a crochet hook to pull loops of yarn through the holes between stitches. The length of the loops depends on how long your character's hair will be, but be sure to make them a bit longer than necessary so you have some extra to trim off at the end. 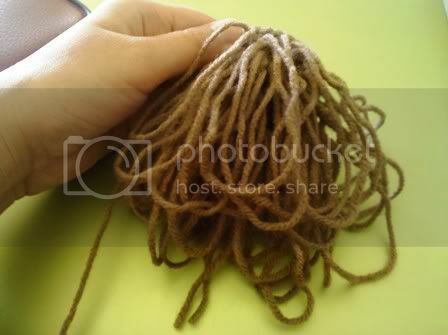 Unless you want your character to have a crazy-thick head of hair, don't put a loop of yarn in every single hole. 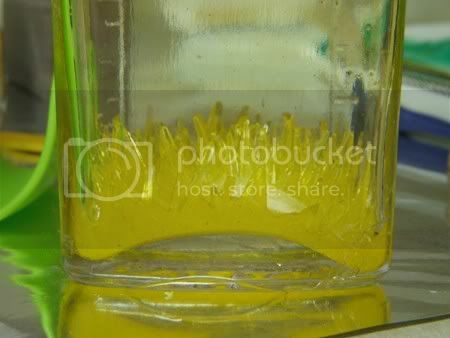 Experiment by skipping one or two holes and see how you like the thickness. As long as you haven't glued or cut the hair, you can always pull it out and start over. Make sure that your skipped holes don't clump together or you might end up with bare patches on the wig. It's a good idea to mark the front of the wig (see the red piece of embroidery floss in the photo above). Hair at the back of someone's head is usually shorter than hair at the front, so I made my loops longer when I was close to the marker. 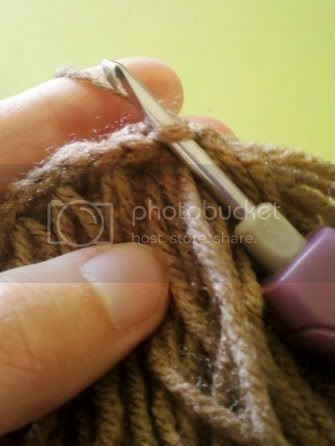 After you've filled all the holes, do an extra round by pulling a loop through the outside strand of each of the outer stitches (see photo above). Do not skip any stitches. Step 3: Glue the hair. 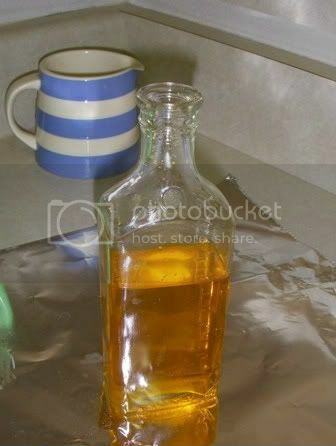 On the inside of the wig cap, liberally apply glue to each strand of hair. 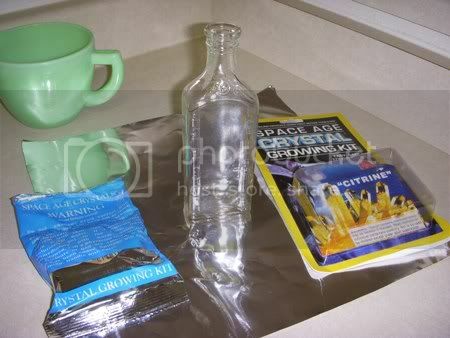 Use felt glue or some other sort of non-washable fabric glue. Be sure not to miss the outside row of hair you added on the last round. While it is important to make sure every strand is covered, don't go overboard and slather every millimeter with glue or the wig cap will lose its flexibility when the glue hardens. Step 4: Cut the loops. 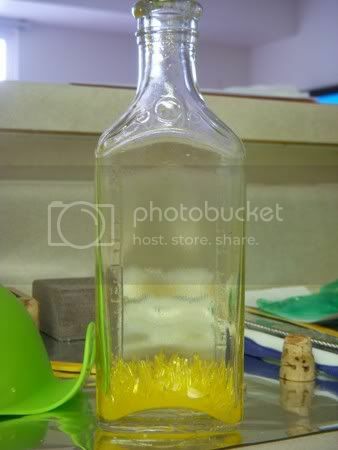 Once the glue has dried, take a pair of scissors and cut each loop on the outside of the wig into two strands of hair. Be sure to straighten out each loop and cut it at the longest point so both strands will be the same length. For straight hair, skip to Step 6. For curly or bushy hair, go to Step 5. Step 5: Separate the plies and brush if desired. This is the part that will probably take you the longest. Each strand of yarn is made of several smaller strands twisted together. 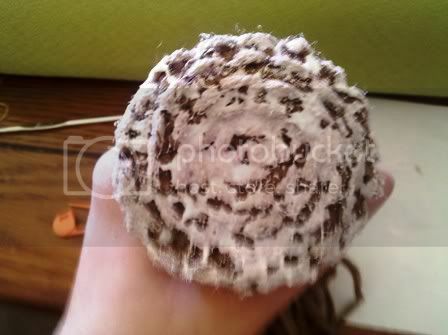 These smaller strands are called plies (3-ply yarn has 3 plies, 4-ply yarn had 4 plies, etc.). Start on one side of the wig and take each strand of hair and carefully separate the plies. I did this by using a plastic yarn needle to pick the strands apart. When the plies are separated, use a spare piece of yarn to tie them to the side so they won't get tangled or mixed in with the unseparated hair. Step 6: Sew the wig on. You marked the front of the wig in Step 2, right? 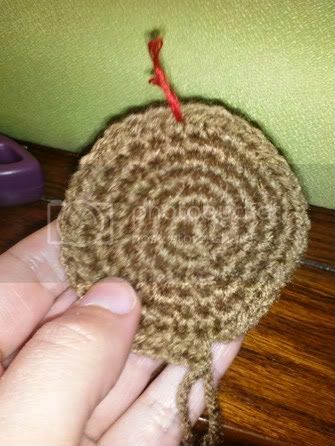 Line up the front of the wig with the middle of the amigurumi's forehead. Make sure it looks how you'd like it to then pin it in place. Use a double strand of thread on a sewing needle and sew the wig to the head. At the end, put the needle in the middle of the wig, tie off and trim the thread (that way the end bits are hidden in the hair). Step 7: Cut and style. Now that the hair is on your amigurumi character, it's time to cut and style it how you wish. Brush out the hair with your fingers (a real brush will mess it up) and trim any uneven ends. Cut the hair to the length you desire then style it. 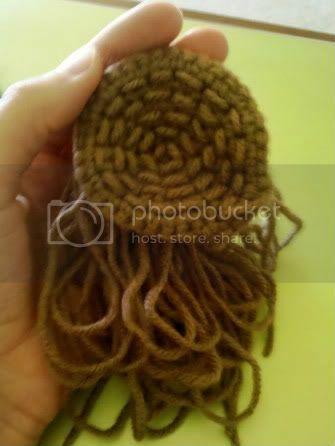 Congrats, your amigurumi has hair! 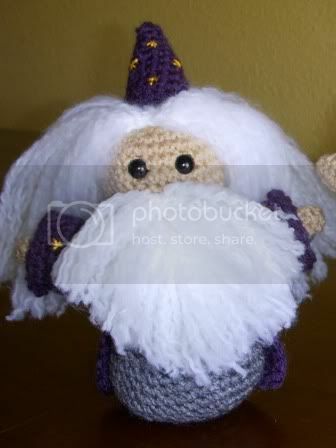 To create Dumbledore's and Hagrid's beards, I used the same method as outlined above except instead of creating a wig cap in Step 1, I crocheted a flat triangle , the bottom of which would become the top of the beard. After following Steps 2-5, I sewed it underneath the amigurumi's nose (or where their nose would be if they had one) and the whole thing was trimmed in to a beard shape. Last week at CatCarlisle.com I finally admitted the jealousy I feel toward mommy bloggers. 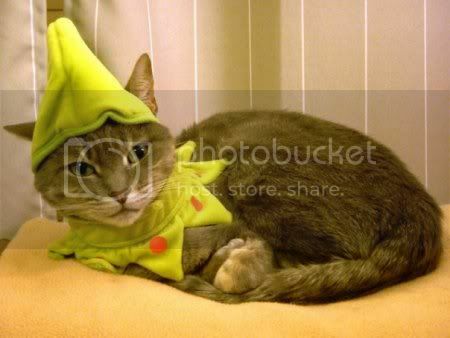 If you're a crazy cat person, you may find it amusing: Confessions of a Cat Mommy Blogger.